33 -- the number of mature trees used to construct a new 2,000 square foot house. Or you could do like Indonesia and plant 79 Million (in a day). 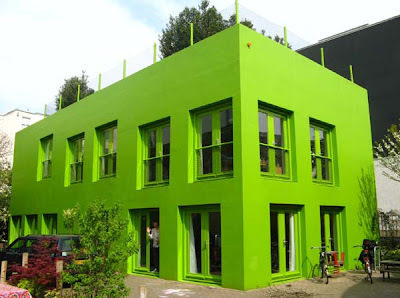 Sort of gives new meaning to "green building," eh? mad: What motivated the start of nARCHITECTS? Eric Bunge: We founded nARCHITECTS in 1999 in New York, and pretty much starting teaching at the same time. We had worked independently on various projects as far back as 1990, and together since 1995, moonlighting while working at other offices. Perhaps our choice of a name might reveal some of our early intentions: we chose the small letter 'n' as a sort of unstable symbol - one that can acquire any value, as with the integer in mathematics. On one level this choice is a reflection on naming itself - any name - even partners' last names - begins to acquire associations with the work. At another level we were interested in producing dynamic, flexible work - architecture that will somehow change. mad: nARCHITECTS appears to be unconventional architectural studio, in the traditional sense, by the work you are involved with. What has allowed the practice to transcend between building, landscape, sculpture and structure? EB: I can see how one would perceive our work in those terms - yet we don't see ourselves as artists or landscape architects - we have great respect for these disciplines, and think that beyond training and temperament, what distinguishes our work from these is our approach, methods, and ultimate goals. We - maybe by default - see it all as architecture, or trying to approach architecture. The commissions we gravitate towards are ones that we can have built (like Switch Building), even it sometimes means building them ourselves (as with P.S.1, Windshape, and Party Wall). At this point in our career, the opportunities for building are spread across what might seem like various disciplines. But our goal is to design buildings - much of what we do is a laboratory in which we develop ideas towards that end. This is one reason we boycott ideas competitions, or steer away from projects that have a small chance of being built. mad: Do you find creative constraints in transcending these conventional "architectural" forms? EB: Yes. The most important step for us in every project is the definition of the design problem, which involves deciding who the Users are (what is their identity? ), what the Site is (what aspects of a site do we respond to? ), and ultimately therefore, what are the creative constraints. mad: Has having such success in creating installations branded nARCHITECTS as a practice less interested in materializing traditional work, despite the desire to do so? Is this a big challege for the practice? EB: I wonder if you could rephrase these questions, we have built what one might call traditional work, not necessarily less than our peers (~ 10 residential projects so far). The latest is a 7 storey residential + art gallery building at 109 Norfolk, almost complete. We also will be building a 100 acre streetscape project in Buffalo, now in schematic design. mad: Mathematically, 'n' - speaks as more than an unknown but also includes the exponential increase, becoming rapidly greater in size; has nARCHITECTS sufficiently evolved to be more than a part-time effort? Is that the aim of the practice or to remain a creative outlet? EB: not sure what you mean by " a part-time effort"; we have been a full service, full time architectural practice since 1999. Architects Gwathmey Siegel to expand Paul Rudolph's iconic Yale Art & Architecture Building. The 87,000 sf addition, being done in conjunction with Robert Stern - the dean of the school, is to serve as part of a $125 million dollar face lift of the original building. 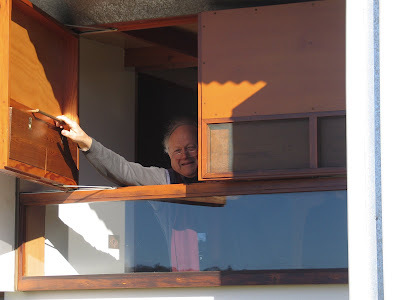 The renovation seeks to restore many of the interior spaces which had been altered over the years and the replacement of current fenestration in favour of windows closer to those designed by Rudolph. The addition in contrast to the brutalist exterior of the original will be clad in limestone and zinc, seeking to create a dialog with Rudolph's building. 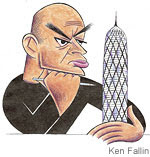 Two of the world's top architects Jean Nouvel (aka Dr. Evil) and Norman Foster have revealed that they will co-design an Italian town as reported by Building. The architects have opened up a joint office, Atelier Foster Nouvel, and will be planning the town of Santa Giulia, just outside Milan. The town for 12,000 residents and will include squares, parks, and an 8,000-seat conference center. Foster & Nouvel have previously collaborated on the near brutalist London's Walbrook Square redevelopment. Glenn Murcutt will lead the Master Class which will again be located at, what has been called his “Masterwork”, the Arthur and Yvonne Boyd Education Centre, ‘Riversdale’, on the banks of the beautiful Shoalhaven River south of Sydney (completed 1999), followed by a week at the University of Sydney Faculty of Architecture. The Master Class is a studio based program undertaking a design project centred on the landscape at ‘Riversdale’ addressing issues of cultural and environmental sustainability and culminating in a design presentation at the end of the second week. The program includes lectures, field trips and visits to houses by Glenn Murcutt and the other tutors. "What use is a house if you haven't got a tolerable planet to put it on?" Plug-in holiday home by Kisho Kurokawa. Check out a striking photo of the architect in his younger days. With an ever increasing portfolio of projects worldwide, from Paris to Abu Dhabi, Jean Nouvel is set to make a hatrick in Manhattan. On the 20th anniversary of the completion of the Institut du Monde Arabe he shows no obvious sign of slowing down. Read more here. The Massachusetts Institute of Technology has filed a negligence suit against world-renowned architect Frank Gehry, charging that flaws in his design of the $300 million Stata Center in Cambridge. The design proposes to have self-generating electricity created by the canopy roof; as well as a 2700 gallon rooftop water collection, and a waste composting system at the lowest level. The ZeroHouse is intended to find application in remote or ecologically sensitive locations, in places where typical construction would be unsuitable. 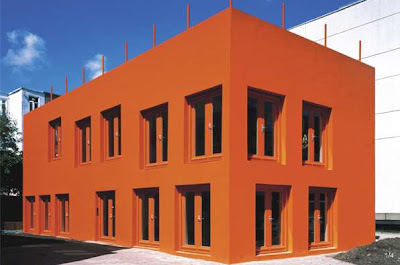 A Daily Dose of Architecture - check out firm faces no.5, you will likely snort with laughter at the Halloween special. also Architorture, a documentary about five diverse architecture students in a single studio filmed throughout the entirety of their thesis project.